as one of the primary Road Safety System Controllers on all Agency vehicles, and participates in multiple Agency improvement project work teams. When not at work, Larry continues to embody the principles of MEDIC. 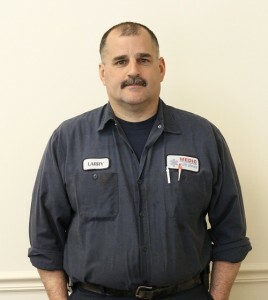 Larry works as an EMT for Novant Healthcare Special Events and as a volunteer firefighter in his community. Sacrificing his personal time to help others, Larry is also active in his church, participates in mission trips, and helps others that are less fortunate by showing them compassion and care. According to his coworkers, these are the qualities that embody the meaning of a Star of Life.